Reliability and efficiency in every climatic condition. 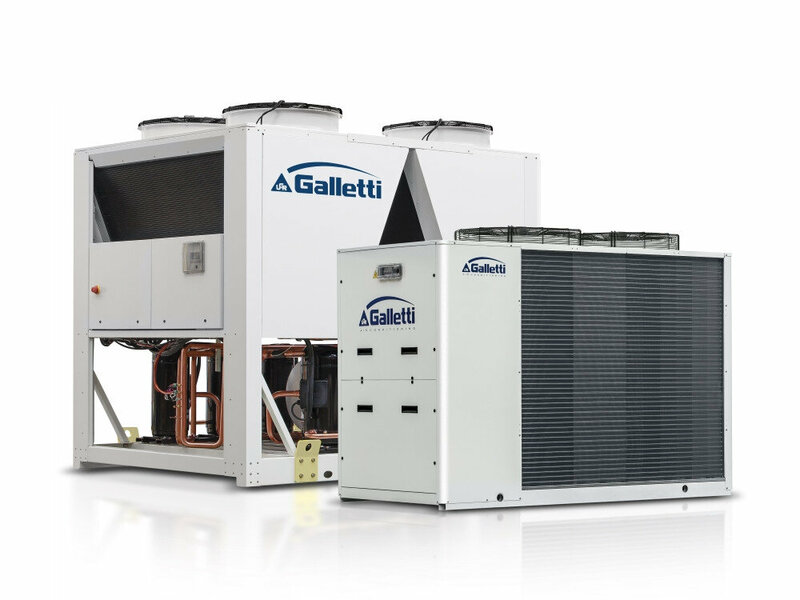 EvitecH is Galletti’s new high efficiency multiscroll units equipped with R4 l 0A steam injection compressor. The range consists of 10 air-water models available as chiller and heat pump, with cooling capacities from 50 to 180 kW. 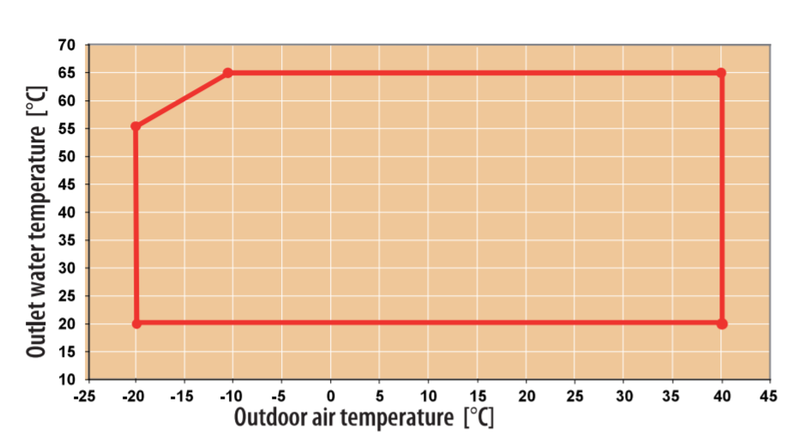 The main strong point of this series is the large operating field, both in terms of maximum hot water temperature (65°C with -11 °C of external air temperature) and minimum air temperature at which the continuous operation is allowed (-20°C) The range allows high configurability from an acoustic point of view, having a wide range of accessories designed to reduce noise emissions. The advanced control, always present in the whole range, allows a continuous monitoring of the operating parameters, advanced adjustment logics, and connectivity. The modular structure with V configuration condensing coils is designed to optimize air-side heat exchange, to ensure structural strength with a reduced footprint, and to maintain maximum accessibility to the basic components. In addition to high efficiency in terms of nominal conditions (Eurovent A-class), in order to increase the efficiency at partial loads, the whole range consists of tandem solutions (2 compressors on a single refrigerant circuit). The configuration of units with the Hydro Smart Flow kit allows an increase of the efficiency and extends the working area of the cooling mode. The range, starting from size 72, is designed modularly, replicating the optimized structure ofV configuration condensing coils and fans. Its design ensures stability, sturdiness even during the most critical phases (such as transportation), and maximum accessibility to components in every unit. The range consists of single and dual-circuit models in order to offer maximum redundancy. The distribution of load in multiple power steps and the use of tandem solutions (2 compressors on a single circuit) ensures maximum efficiency at partial loads and therefore greatly increases seasonal efficiency. lntercooled compression with steam injection allows a better control of the end-compression temperature, keeping it within the limits imposed by the compressor envelope, even in the most unfavorable working conditions (low evaporation pressures and high compression pressures), this results in one of the largest operating field in the market. This is a smart kit able to convert EvitecH heat pumps in multifunction units in order to fulfill every necessity of the hydraulic airconditioning plant. It allows domestic hot water priority production thanks to Galletti thermal accumulators of the TP or TN series. The switching of the valve is managed by the on-board microprocessor control of the unit.